Enhance the beauty and comfort of your home with a new entry or patio door. New doors add value that you will enjoy from both the interior and the exterior of your home. 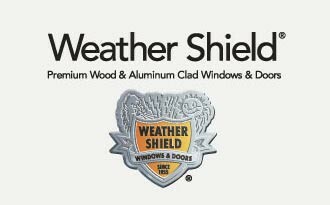 Weather Shield is a complete line of premium quality, all-wood or extruded aluminum clad wood windows and patio doors. All-wood windows and doors offer the greatest design flexibility due to custom shape capabilities. Extruded aluminum clad windows and doors provide strength and durability, while still providing the warmth of a wood window. An expansive offering of options, including glass, finishes and grilles are available to create the look you desire. Weather Shield products are suitable for residential or light commercial new construction, remodeling or replacement projects. © 2016 - Mid South Windows & Doors, Inc. - All rights reserved.